Two security guards at Stagg Industries discuss the company’s recent sell. A slimy looking futuristic magician named Abra Kadabra (David Dastmalchian) shows up, steals a tech item, and puts the two guards in a tank and fills it with water drowning them. Cecile (Danielle Nicolet), Joe (Jesse L. Martin), Iris (Candice Patton), and Barry (Grant Gustin) are at Jitters; Iris shows off her engagement ring to Cecile and happily recites how Barry proposed to her. Cecile is impressed Barry can sing, and he tells her Joe is even better. Cecile has four tickets to Hamilton in July and hopes the four of them can attend. Joe, Iris, and Barry become silent thinking about Iris’s impending death, but Barry gets it together in time to say they would be delighted to go. At STAR Labs, Barry, Cisco (Carlos Valdes), Caitlin (Danielle Panabaker), and Julian (Tom Felton) are trying to figure out how to prevent Savitar from killing Iris. They are studying the future newspaper headlines with Killer Frost on the loose being prominent. Julian had bought some Opera tickets for Caitlin because she wanted to attend. When he bought them he planned to go with her, but now he gives them to her with no intentions of attending the Opera himself. This makes things more tense and awkward between them. Luckily, Barry and Julian have to leave for work. They join Joe at the crime scene at Stagg Industries. They don’t know who drowned the two guards or how they did it. Barry confides to Joe he’d rather not work this case but instead concentrate on saving Iris. Someone is robbing Kord Industries so Barry dashes out. The Flash confronts Abra Kadabra, Abra knows the Flash from the future, he knows who the Flash is, Savitar, and has knowledge of Iris’ death. Gypsy (Jessica Camacho) appears; Abra throws cards at them to escape. Gypsy briefs Team Flash on Abra. He is from the 64th century. He has Nano tech in his body, which makes it appear he has magical powers. He is at the top of the Earth 19 collectors list for crimes he committed there. He is robbing tech companies. Cisco clumsily puts the moves on Gypsy. Barry is thinking he might know how to save Iris. Cisco can’t vibe Abra’s location. Gypsy informs him that Abra’s tech keeps him from being located that way. In that case, Cisco will use his tech to locate him. Gypsy is impressed with Cisco’s tech; she doesn’t have anything this advanced. Cisco volunteers to go to Earth 19 to hook Gypsy with this tech but he’ll need a place to stay while there, preferably her place. Gypsy is cold to the idea. Cisco is confused, when they kissed he felt there was something special there, could he have been confused. Gypsy doesn’t answer and looks uncomfortable. One of his monitors goes off; he has located Abra Kadabra. 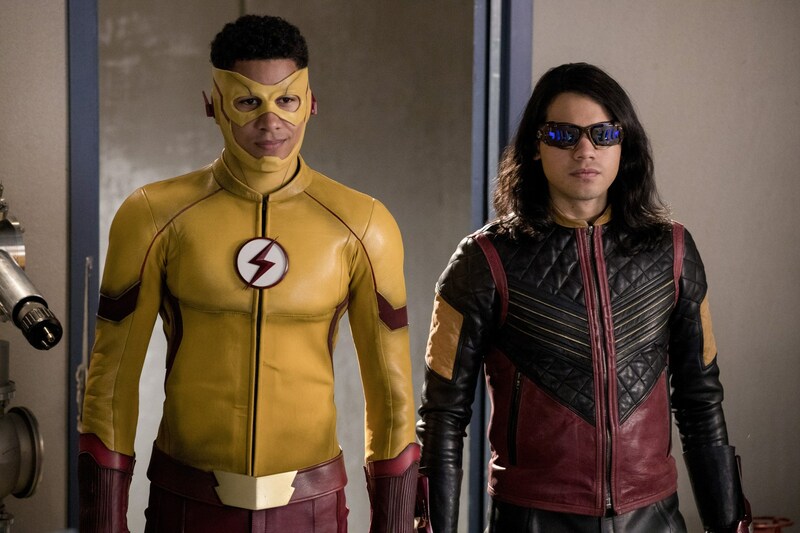 Barry, Cisco, Gypsy, and Wally (Keiynan Lonsdale) show up where Abra is. He escapes and appears at STAR Labs. He knocks everyone around. Before he can get to the object, he came to steal, Caitlin contacts Barry and he is there in a few seconds to handcuff Abra. Abra says he knows who Savitar is and he will tell Barry if he lets him go. Gypsy shows up just then and demands Abra. Barry thinks for a moment and knocks Abra out. Abra is in STAR Labs cell; Barry, Joe, and Iris want to talk to him before Gypsy takes him back to Earth 19. She allows it. They ask him questions about Savitar but he won’t answer the questions unless they free him. Cisco asks Gypsy why she wants to take Abra back so badly. Julian was hurt when Abra tossed them around. Caitlin is patching him up and she apologizes for hurting him and hopes he can forgive her. Julian remains silent. Iris and Barry discuss if they should let him go to get the information. Barry is seriously considering it but Iris is against it. She doesn’t want to let a man who has killed and hurt so many people go to save herself, and she thinks deep down Barry has to agree. While they are talking, Joe goes to the cell with a big futuristic gun. Joe offers Abra a deal, if he tells Joe who Savitar is, he will let him go. Gypsy sees Joe on a monitor and opens a portal to get there fast. Joe has opened the door and Abra is just about to tell him who Savitar is, but Gypsy appears and distracts Joe, Abra takes this moment to escape. He goes to the secret room and gets an object Wells/Thawne had hidden. When he gets to the elevator, Joe is waiting for him. Joe shoots the elevator and demands Abra finish telling him who Savitar is. Instead of telling him, he throws a bomb and escapes. The explosion sends shrapnel in Caitlin’s body. They can’t take her to the hospital because the police want her so they will have to operate on her themselves. Cisco suggests that Caitlin use her Meta power to slow down her metabolism but she refuses to take off her necklace and become Killer Frost. She would rather die. Gypsy confronts Joe for letting Abra escape. Joe tells her he took two oaths, to uphold the law and protect his family. Protect his family is number one. He is trying to save his daughter. Wouldn’t she break some rules for someone? Cisco pulls her aside and tells her to ease off Joe; he is only trying to save his daughter. She admits this is personal to her. Abra killed her partner. Cisco asks what term do you mean partner, she tells him in both terms. Abra had fallen off the radar and he finally popped up again stealing tech. She wants him. Julian and Iris operate on Caitlin with Caitlin fully awake to instruct them. Though painful for Caitlin, they are able to get the shrapnel out of her body. Later in the episode, he tells Caitlin how impressed he was at her bravery. He forgives her. How British of him. Gypsy finally figures it out. Abra is stealing the tech to build a time machine. The tech he has stolen from the tech companies are components for a time machine. The component he stole from STAR Labs is a fuel source. He has to open a temporal wormhole to get back to the 64th century. Gypsy wants to go after him alone since she can’t trust Team Flash, but Barry convinces her they have to work together to capture him. Back at STAR Labs, everyone is brooding. Gypsy is escorting her prisoner back to Earth 19. Barry makes an appeal to Abra’s humanity and begs him to help him save Iris. Abra is a complete prick and tells Barry they are enemies in the future. 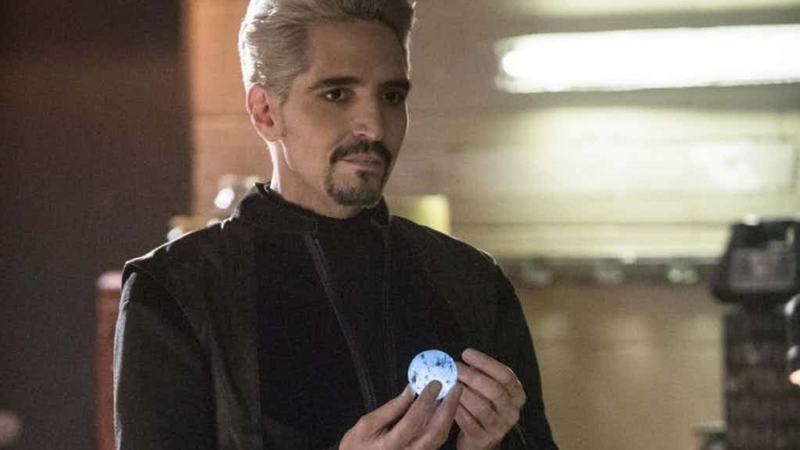 The only villain who really got to Barry was Savitar because he killed Iris. He always envied him for that. Not helping Barry is like him killing Iris himself. Gypsy asks Cisco where this leaves them, he doesn’t know. Gypsy opens a portal and leaves with Abra Kadabra. Joe is at home with Iris. He is depressed that he wasn’t stronger concerning Abra Kadabra. He relays a story about Iris being a baby and being afraid, she would stop breathing. He was afraid of her dying. He is afraid she is going to die and he doesn’t know what he can do to save her. Barry comes down the stairs and says he knows. Savitar, Thawne, Zoom had an advantage over them; they were armed with knowledge of the future. Barry is running to the future to get some answers. Caitlin is eating some lime Jell-O, Cisco ate up the strawberry Jell-O. He jokes he’ll get some. H.R. appears (Tom Cavanagh); he has been gone two days on a love romp. He missed the action in this episode, (lucky him). Cisco was worried about him and he warns Caitlin not to tell him. H.R. loves lime Jell-O, everyone is happy, and laughing for the first time this episode. So of course, Caitlin has a seizure. Julian rushes in, her vitals are going down, and she is dying. To save her Julian takes off her necklace. Caitlin has died but then her Meta powers take over, her wounds heal and her eyes change color. A blast of ice explodes and Killer Frost is born. The villain of the week is Abra Kadabra and what a horrible villain he was. It seems his only power was to smirk and give magicians a bad name. Or a worse one than they already have. What a tool! The episode itself was lifeless. Iris’ impending death has taken the life out of this show. The only thing everyone did in this episode was brood. I know in real life if this were happening, this would probably be the way everyone would act, but that doesn’t make for interesting viewing. Gypsy’s third appearance on the show wasn’t as good as the first two. She was grim throughout because Abra had killed her partner. She didn’t have any sparks with Cisco this time. Since they didn’t bother to have Tom Cavanagh in the episode until the last minute, there was no humor until he appeared. Then they undercut it by having Caitlin die. They have set up some interesting things for the final episodes. Barry is going into the future. What could possibly go wrong? Caitlin is now Killer Frost and that should bring some interesting complications to the team. I wonder if she’ll be Killer Frost the rest of this season, into next season or permanently. I can’t recommend this episode. There were a few good parts. 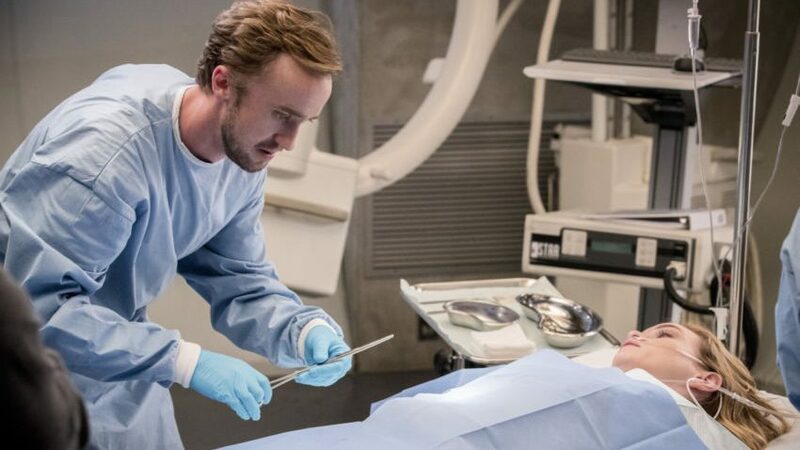 Joe’s scene with Iris, the final action set piece stopping Abra from going back to the future, and the card trick he used to get away from Barry and Gypsy. I hope they come back stronger from their hiatus.